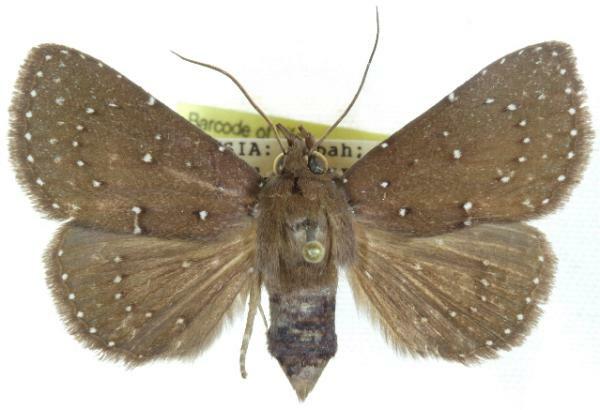 The adult moth of this species has brown wings each with marginal and submarginal arcs of white spots. The forewings also have white spots along the costa. The wingspan is about 3.5 cms. This species: Saroba albopunctata, is superficially indistinguishable from Saroba niphomacula in habitus photographs. Such photos taken in Australia are more likely to be of Saroba niphomacula. Volume 2 (1901), pp. 587-588, No. 543, and also Plate 62, fig. 9.